If you've been advised to avoid gluten foods then you might think there's very little you can eat. The truth is Nature's Storehouse provides a multitude of food choices. Soups, veggie burgers, Mexican dishes, Asian foods, Italian favorites and sweet treats such as chocolate candies are here. There are even gluten free bakery items for popular suppliers like Sami's Bakery, Uti's and Amy's Kitchen. In addition, frozen foods and gluten free pizza can also be found from gluten free brands that are trusted by many health conscious people. To find out just how many options there are in gluten free foods, simply stop out today. 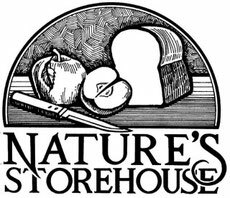 It's not just pre-made gluten-free foods you'll find at Nature's Storehouse. There's an assortment of flour, including baking flour and pancake/waffle mix available as well. 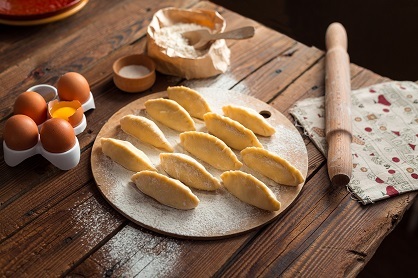 You can create your own gluten-free desserts and pizza or any number of popular dishes. Thanks to a number of popular gluten-free brands we carry you're likely to find something you absolutely love. So stop in and check out the selection we have for people who are trying to avoid gluten foods. Our knowledgeable staff is here to serve you today.